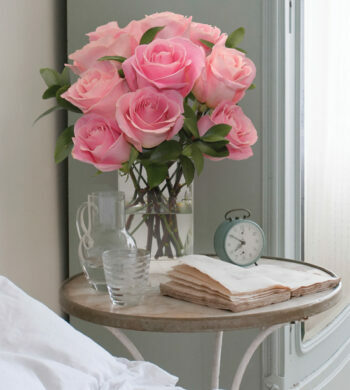 Home|The Flower Lovers Blog|Tropical Fever! The summer season in general tends to dictate color and warmth and as I set out to visit one of our South Florida growers, I quickly saw how Mother nature interprets this time of year. Tropicals galore! Upon entering the greenhouses where many of our plants are nurtured, I was amazed to see the essence of the tropical climate in vivid vibrant hues. 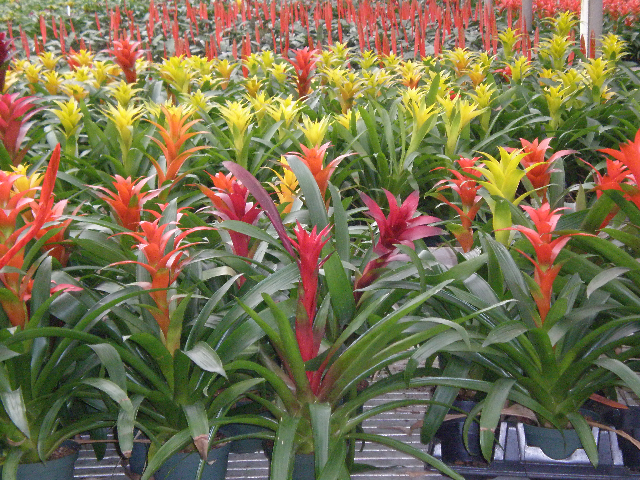 Hundreds of bold colored bromeliads created a festive spirit that shone bright on this hot summer day. Many of you have probably seen a bromeliad out and about. 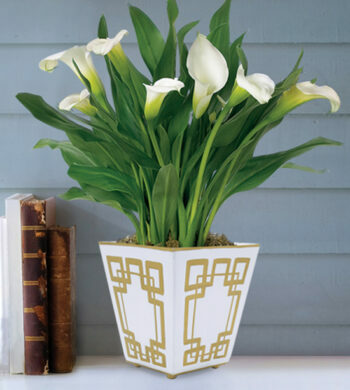 Hotels and conference centers use them in their decor. But what you probably didn’t know is that the pineapple is actually a bromeliad, making it the most well known variety. 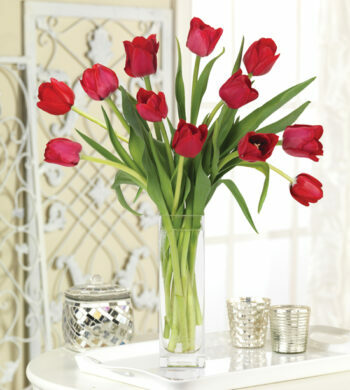 These tropical beauties bloom in vibrant hues of red, orange, yellow, pink and burgundy. The flower itself is spiky looking and protrudes high above the lush green foliage. What makes them so special and desirable is the “Decorative Life.” Many bromeliads will last weeks to months in flower. I always have a few bromeliads blooming about my home. They are so easy and require little maintenance. I am a believer in the beauty of the bromeliad. A little background info for you – They are native to Tropical America. 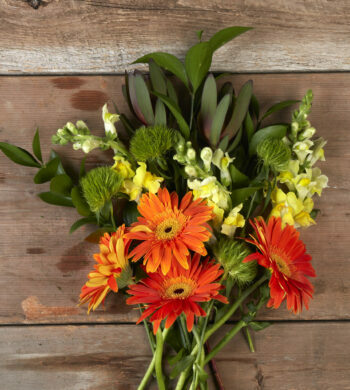 Besides the pineapple, common plant relatives include the Christmas cactus and Spanish moss. Yes, the same moss that is seen growing on trees in many parts of the world including many parts of southern and western US. 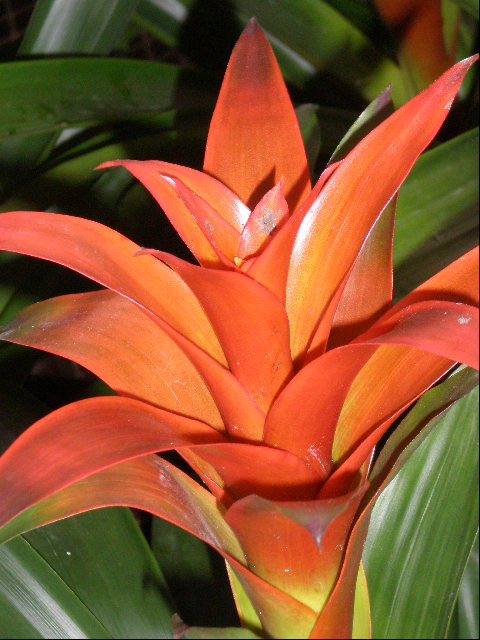 Want to bring the beauty of a bromeliad into your home or anothers? Calyx Flowers offer the Summer Bromeliad Garden. To learn more about them, The Bromeliad Society International is a good source for information on these tropical plants. Enjoy your summer day!